I never set up any goals for June. June came at me strong and quick, and quickly showed me what it was like to burnout. I started out the month feeling ready to conquer everything, but I was quickly knocked down by exhaustion and doubt. 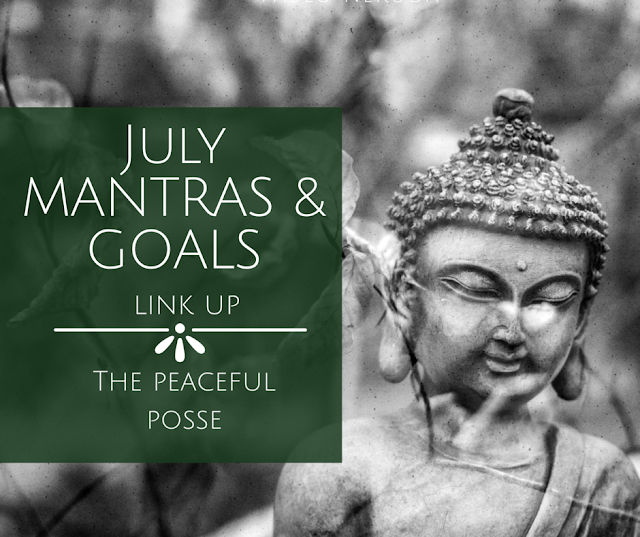 I am feeling better for July, so I am setting some mantras/goals that will remind me that I got this. Setting intentions - I am going to set an intention for each new day. They will all plug into my over all intention of being strong and moving forward in my life. Meditate - I was recently told this is the way to heal some of my doubts and seeing how it is one of the hardest things for me to concentrate on I am starting to believe I need to spend more time on it. Journal - When I write, I feel free, but for some reason I do not do it as much as I should. I am going to spend more time writing stuff down and working through it on paper. Yoga - Yes I know I am teaching it, but I am not doing as much of my own practice lately so I need to really spend some time with it to mediate and then journal after. I don't think I can be successful until I have myself back in order.